See something you like? View the @janalamstudio instagram feed below with links to the everything in the pictures. janalamstudio This pile of 🌈 pillows is off to @deluxenugget for a bright and colorful living room overhaul. Want to live colorfully, too? Plenty of brightness and rainbows in the janalam.com home section! Ready for your rainbow redesign? This lovely Sea Hearts Oversize Clutch is available at janalam.com! And don't forget the Mother's Day ❤️ Sale! Two codes: MOMSBIGBAG for 25% off the Sunday Fun Day Carry-all and MOMLOVE17 for 15% off everything else. And as always all purchases over $100 get free shipping! janalamstudio 🌈 button for the win! This lovely Seaflower Pencil Clutch is available at janalam.com! And don't forget the Mother's Day ❤️ Sale! Two codes: MOMSBIGBAG for 25% off the Sunday Fun Day Carry-all and MOMLOVE17 for 15% off everything else. And as always all purchases over $100 get free shipping! janalamstudio Get Mom the bag of her 🐚🌊 dreams this Mother's Day. Order today for delivery by the weekend. Don't forget the Mother's Day ❤️ Sale! Two codes: MOMSBIGBAG for 25% off the Sunday Fun Day Carry-all and MOMLOVE17 for 15% off everything else. And, as always, all purchases over $100 get free shipping! With a Mini Envelope Clutch to match!! Each semester an intern finds us, and creates their own place within the Jana Lam team. We are currently graced with @deluxenugget who is a natural at printing, AND a go getter, AND a precision queen, AND a style inspiration on the daily. See something you like? We do custom orders! Any print, any color, any style! Email us to get started on your perfect Jana Lam accessory! Check out all three color options now! Pick up this pretty pink and mint orchid Mini Cross Body today! janalamstudio Mother's Day is just around the corner. . . Treat her with a tote or cater to her with a clutch. To honor moms we're offering 15% off (using the code MOMLOVE17) our entire online shop with the exception of the Sunday Funday tote which we know is a must-have for all the mommas carrying miscellaneous items . For that we're offering 25% off! Use the code MOMSBIGBAG. Both codes can be used at checkout. These offers are good from now until Mother's Day. Get that super necessary beach bag/diaper bag/shopping tote/carry all/travel bag! Shop Jana Lam Handmade at 15% off now! Are you?! Click the link in the bio to shop this beach bag, pareo, and mini zipper clutch combo! Wrap yourself in this banana leaf pareo before we run out! Pack up all your beach necessities in this Pineapple Mini Zipper Clutch • White over Yellow! Be the first to have the new Sand Dollar print Beach Bag Tote • Silver over Rainbow Ombre! janalamstudio What's more important when decorating a space: #print or #color??? Find graphic prints in black, white, and gold AND whimsical color combos in the janalam.com home section! Can't decide between print and color? You don't have to! janalamstudio Three beach bags with ✨NEW✨ prints are hanging out in the web shop! Click the link in the bio to shop now! Get this one-of-a-kind Fan Palm Beach Bag before it's gone! janalamstudio Hoping everyone's Easter will be filled with sunshine, bright colors, and fun! We're having an Easter hat 👒 sale through the weekend. All #janalamsun trucker hats are marked down 25% on janalam.com (no code necessary), but HURRY! There is a limited quantity left in stock, and we're not making any more. Event details: Saturday and Sunday from 10-4 at 449 Cooke Street in Kaka’ako! Can't make it? Buy it online now! janalamstudio Introducing the Sunday Fun Day carry-all! Available in three colors: Blue Hawaii, Lemonade, and Guava Punch. Follow the link in the bio to order yours now! In the meantime hit the link in the bio to snag this Beach Bag or get more information on the events!!! Want this gold over rainbow ombre Shellini print Beach Bag? janalamstudio Thank you, thank you to everyone that purchased a @theumbrellacollective + @janalam collab tote, hobo, or crossbody this morning (and thank you to all those that tried, too )! We are overwhelmed by the response! We'll keep you updated on any future releases! Our mailing list subscribers cleaned us out of the larger items, BUT we still have keychains and cardholders available! Link in the bio. Pick up a keychain or cardholder today! janalamstudio Did you know we added four NEW styles to this release?! Introducing the Zip Tote, Convertible Crossbody Clutch, Key FOB, and Cardholder! All available in four leather colors: black, navy, camel, and gray. 🙌🏼 ... Kudos to @theumbrellacollective for her amazing handiwork and perf bag styles!!! Join the mailing list now for early access!! Join the mailing list and check out more pictures from this release here!! janalamstudio The @theumbrellacollective + @janalam spring '17 presale goes live this SUNDAY! For early access join the mailing list. We are sending out a special link to subscribers at 10am on Sunday (Hawaii time). Be ready, because the collection will be available to the general public at 3pm! Happy Shopping!!! Click the link in the bio to join the mailing list now! Want more info? More pictures? Join the Mailing List? Click the link! janalamstudio A sunny clutch for a ☀️ day! Sunny print Oversize Zipper Clutch, Yellow over Green. Bottom right shows lining. Click the link in the bio to shop now! janalamstudio Join us and our #momboss friends for a weekend of shopping and fun for the kids! Click the link in the bio for more info. Find out all the details now!! janalamstudio What a way to end the day 😊 Is it the weekend yet?! Shop the banana leaf pareos before the weekend hits! janalamstudio Having a blank canvas to work with is so much fun. There are certain rules you're supposed to keep in mind when you're designing your home but being matchy matchy is not one of them. If you love it, you love it and it will work. Pillows are my favorite thing to not match These pillows online now. Looking for pillows that don't match? Shop these one-of-a-kind pillows and more! Tote envy? Shop this tote and more for next weekends sunny beach days! That last rack of goodies is online inventory! janalamstudio I'm excited to tell you that you can now shop the products you see in our Instagram account! Find direct links to what you see in the photos when you go to SHOP INSTAGRAM on the #janalam website. Happy shopping! Prep for next weekend! This banana leaf pareo is stocked in four color options!!! janalamstudio At the studio we make what we are now referring to as mini microbatch textiles (meaning teeny tiny runs of fabric) This is a completely insane thing to do but gives us the capability to really try anything and any color combination. I know I'm biased, but it's a really cool thing and I hope one day more people will get a chance to see this process in action. Want a closer look at our "mini micro batch textiles" process? We have pineapples in many colors and styles in the Handmade in Studio shop! Shop this pillow and more from the Black, White and Gold Collection! For a more in depth look behind the scenes, check out our full process! Buy this Beach Bag Tote, or one of our other one-of-a-kind print options now! Get mermaid ready. Shop Jana Lam Pareos! janalamstudio Oversize clutch: Orchids, teal over aqua and lime ombré. Inside lining shown in circle. $70 online. Pick up this Oversize Clutch today! 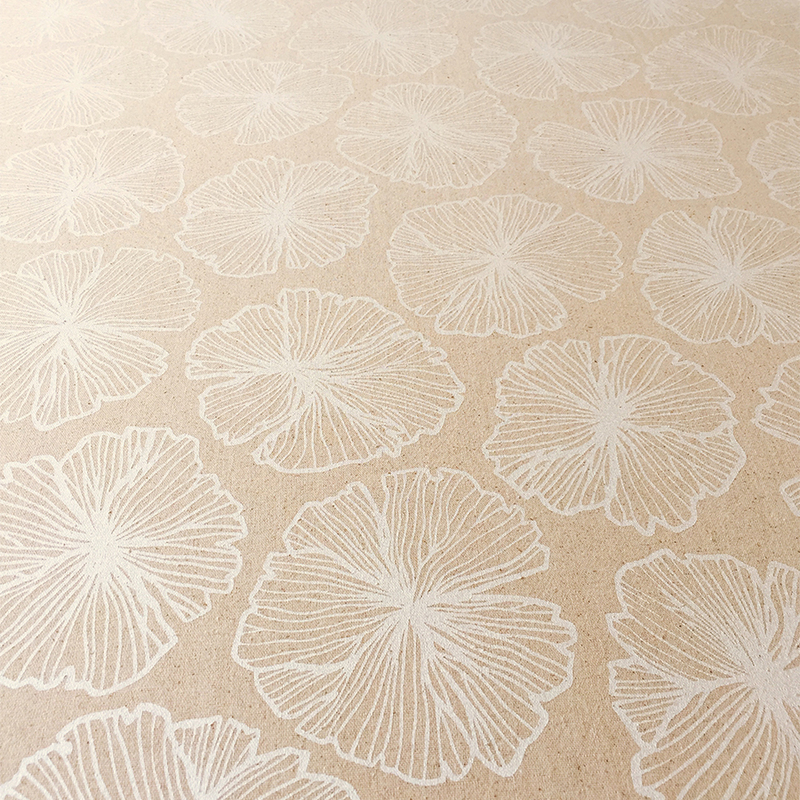 Did you know all Jana Lam textiles are printed by hand? janalamstudio Laid back. Friday's scene. Check out our about page for a peak at the Jana Lam Studio's ocean front backyard! Buy this pineapple print beach bag tote now! janalamstudio Luxe Tote: Seaflowers, gold over pink and blue ombré. Inside lining shown in circle. $198 online. Buy this one-of-a-kind sea flower tote now! janalamstudio Cosmetic Clutch: Monstera, blue over aqua and mint ombré. Inside lining shown in circle. $70 online. Find the perfect cosmetic clutch here!